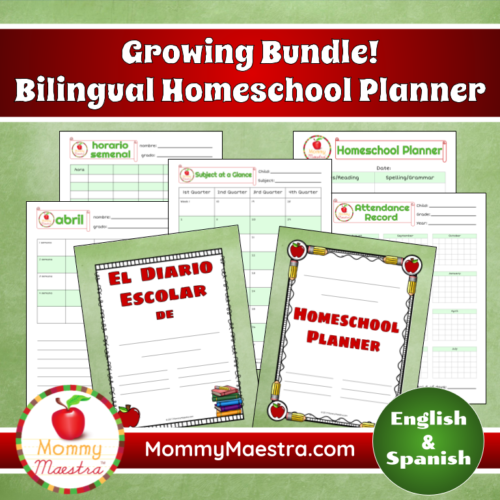 One of my most popular downloads continues to be the free bilingual PreK homeschool planner that I shared several years ago to help parents get started with and keep track of lessons for their preschooler. 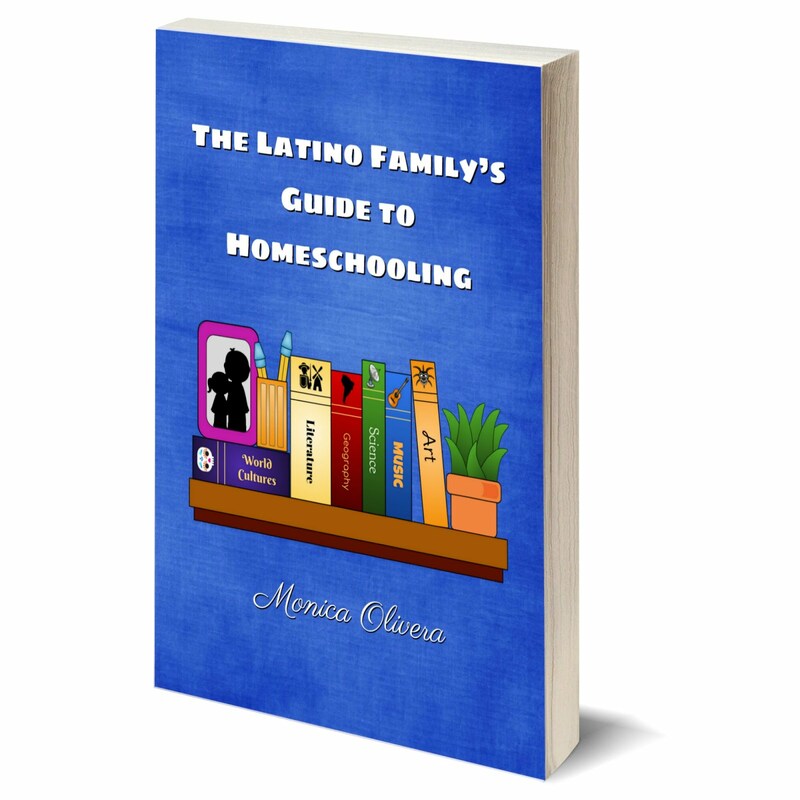 So for a long time, I've been thinking about offering additional homeschooling printables for older students. 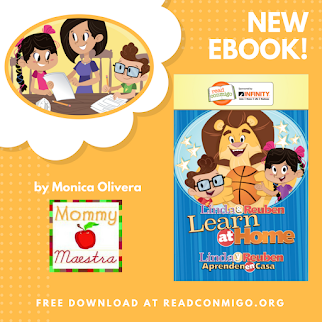 I've been creating my own record keeping pages for years, so I finally made time to expand them and make them available in both English and Spanish for MommyMaestra readers. 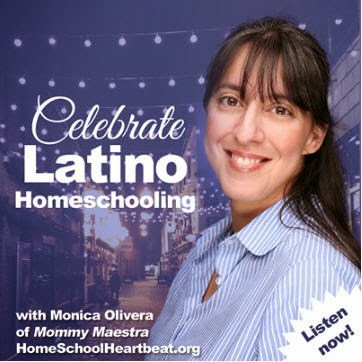 For families thinking about homeschooling, this set of bilingual homeschool planning sheets will help you get started. Just select the pages that best suit your needs, print, and go! I recommend keeping them all together in a 3-ring binder. I've included cover pages in three different styles. 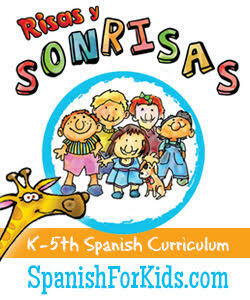 All the pages are available in English and Spanish, as well as black-and-white or full color. What is a growing bundle? The best part of this packet is that the value of this bundle will increase as more resources are added. If you purchase it, you will be able to get any future additions to the bundle at no charge! This planner is available for purchase in my shop. Just for fun, I'm giving away copies of this set to 5 lucky MommyMaestra readers! So excited for this! I've been trying to cobble something on my own for a few days now! My oldest will be entering kindergarten in the fall! Tengo un hijo y una hija que son ambos 5 y ellos están entrando al kindergarten en el otoño. 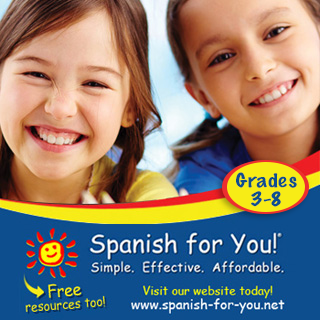 Soy un hablante nativo de inglés, pero yo y mis hijos estamos aprendiendo español juntos mientras yo también estoy completando mi grado con un menor en español en nuestro colegio local. ¡¡¡Soy MUY feliz de haber encontrado su sitio!! !